MILLIE PENFOLD TAKES THE TITLE! 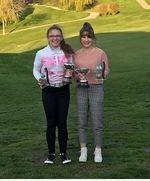 Essex Girls had a super day at Boyce Hill Golf Club for the Girls' County Championship and Spring Meeting! The GGR Programme for 2019 has been launched! Three Essex Clubs will be running taster sessions for Girls! Book on-line - places will be limited!